Our in-house experts architect solutions built for your present and optimized for your future. We build and execute a development strategy with your specific business needs in mind, planning for needs such as invoice handling, partial shipments, gated content, and recurring fees. We ensure website leads or support requests are routed efficiently to your CRM, streamlining communication, returns, and other critical workflows. We’ll work with the channel feeds, email platforms, and other tools you already have in place, or we’ll identify and connect new integrations that serve your strategy better. We craft a comprehensive digital presence that anticipates the future features your business will need. Whether that’s implementing app-like experiences, machine learning, or some other future technology, it’s all about taking your business to the next level. Our team creates a flexible, responsive customer experience across the full spectrum of devices through which users will interact with your store. Before we ever write a line of code or launch a single server, we start by mapping out a stable, secure environment that helps prevent security issues, downtime, and barriers to new features. 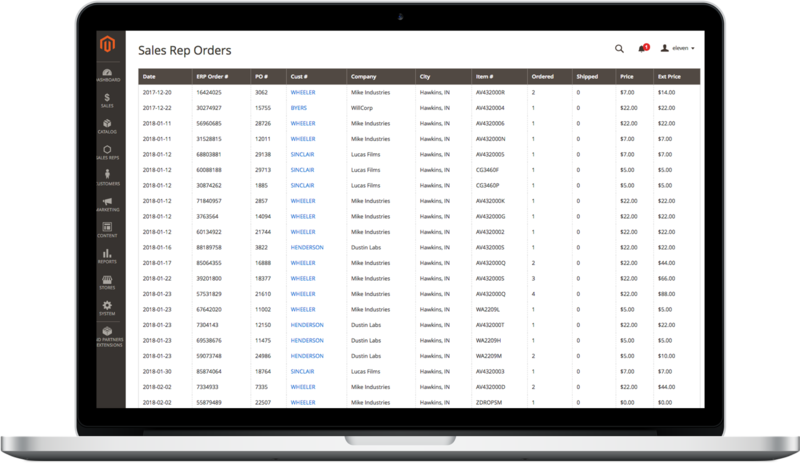 We optimize your systems to handle inventory processes smoothly, connecting your ERP or warehouse systems to prepare your site for scenarios like backorders, drop shipping, and order tracking. We code with your growth in mind, prioritizing compatibility and flexibility to ensure your business stays efficient and secure. This attention to detail helps our clients avoid issues like vendor lock-in and other revenue-inhibiting systems issues. Your system is built with the expectation that it will evolve, so we make it easy to accommodate your future success. We tailor your platforms to your revenue model and traffic patterns, ensuring it capably handles your business’s biggest days without worry. In-house training on the current threat landscape helps our team stay up to date. Any code we build undergoes security as well as PCI compliance tests to identify, correct, and eliminate vulnerabilities. We make your site’s performance a primary goal, ensuring you have fast systems that run properly while planning for how you will need them to run in the future. Our developers are experts across the full tech stack, working side by side in our Princeton office to optimize your systems. Our in-house quality assurance checks mean you get code, structures, and workflows that have been thoroughly vetted for issues. Select a platform with our guidance and launch a new online offering as we build it out. If you’re already running and ready to expand, we can move your store to a more flexible platform with little to no downtime and full data integrity. Differentiate yourself from the competition or score a logistical advantage with unique functionality that goes beyond any out-of-the-box platform. Keep your systems running smoothly with regular application and infrastructure security patches. Our engineering team’s constant eye on system performance means you get an immediate response at the first sign of trouble. Uncover your greatest growth opportunities with the lowest risk and cost. Our developers go under the hood, evaluating your structure and needs to identify the right technical investments for you. Once we’ve analyzed your business needs, we implement the solution by building you a custom feature or finding the right technology to install. MunchPak needed a scalable site to handle viral loads. We analyzed MunchPak’s viral traffic spikes and the shape of their traffic to understand its impact on their server. Then we rebuilt their site, identifying and removing performance bottlenecks and redesigning the information architecture to take better advantage of full page caching. Finally, we created a scalable, load-balanced structure on AWS hosting capable of handling MunchPak’s heaviest viral loads. A 169% increase in orders year-over-year for MunchPak’s Cyber Monday. 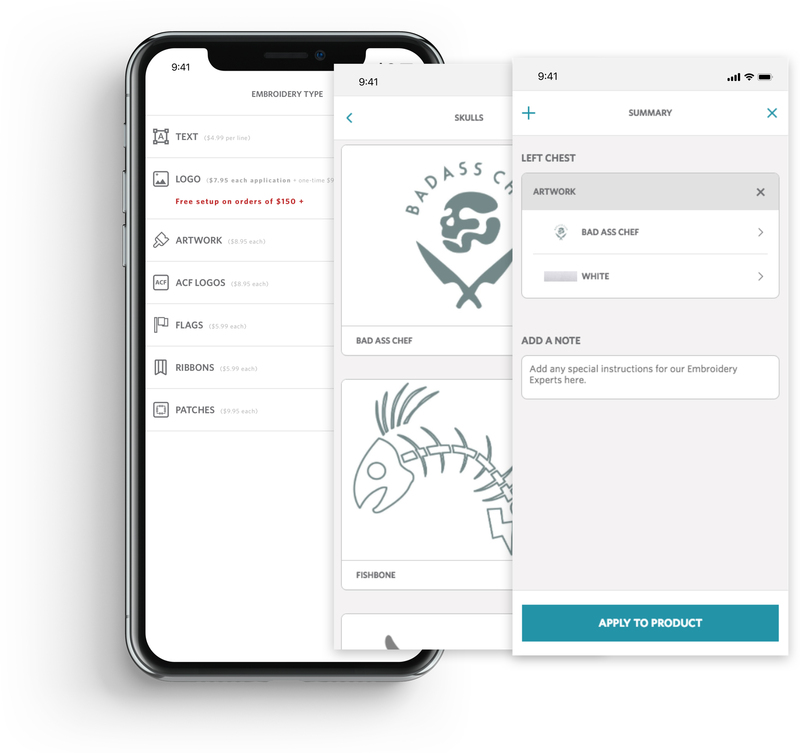 We built a customization module that matches their offline business processes, streamlines the user experience, and provides a consistent way of adjusting customization all the way through checkout. The module also reduces the number of touch points for customers and Happy Chef’s customer service representatives. In order to create this experience, we heavily customized their ecommerce platform, improving responsiveness and flexibility. eBay needed a strategic software development partner to understand their business needs, and translate them into stable, responsive solutions. 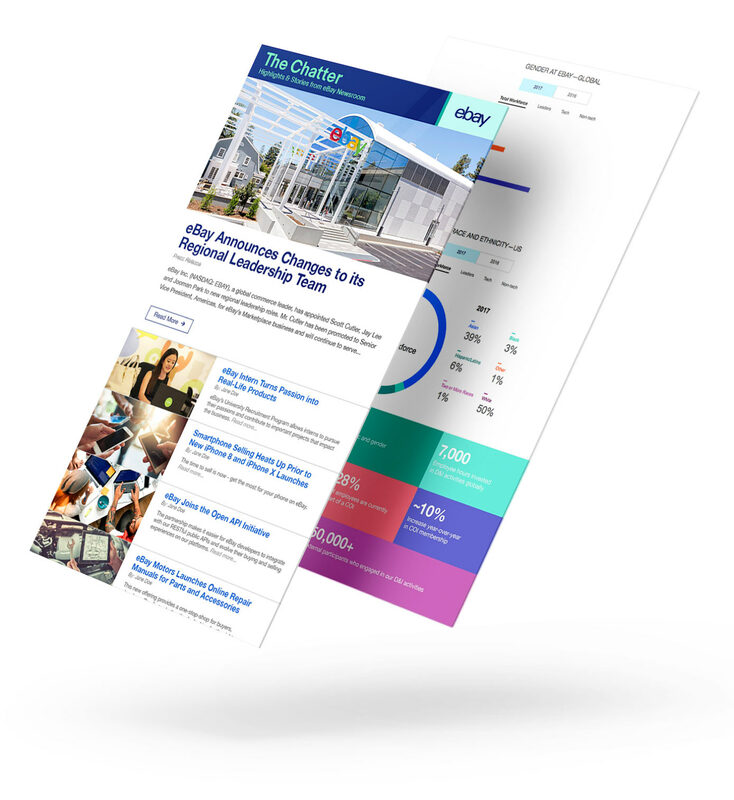 Technical account management services were introduced to develop tools that showcase eBay culture and community via high impact digital storytelling. We built a content management system that provided eBay’s web editors with flexibility and control through simultaneous web/email publishing, real-time content previews, and editable infographics. Streamlined ideation to implementation timeline as well as creating a system of scalable business processes. 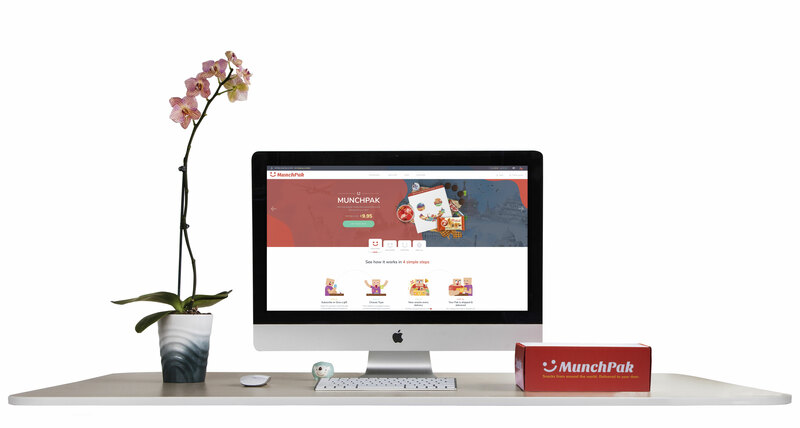 MunchPak needed a highly flexible subscription platform. 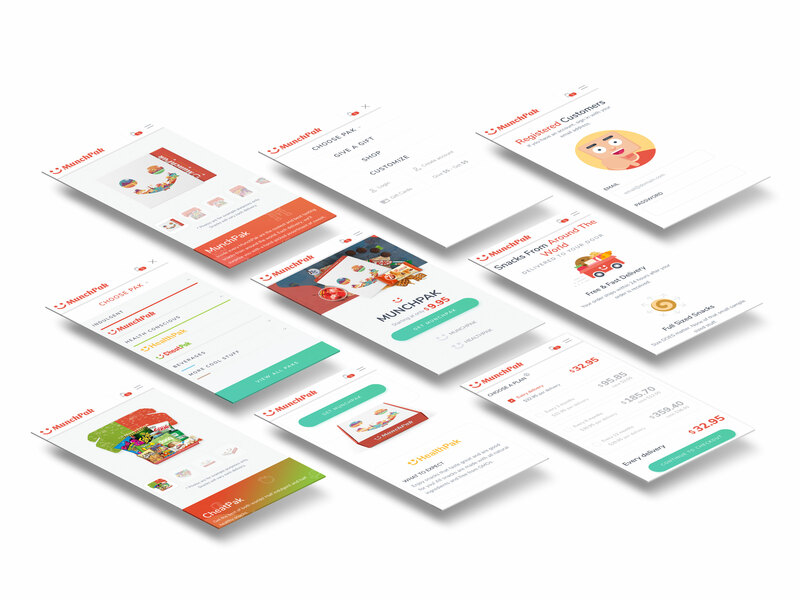 After analyzing industry solutions, we customized their ecommerce platform to maintain all subscription logic and connected it to their payment processing platforms. The upgraded platform supports multiple payment methods, different billing frequencies, different shipment frequencies, preferences, and recurring upsells. A flexible system that’s both stable and prepared for future product developments. Daron needed to be able to serve their final customers while empowering the assigned salespeople. Sales reps were given provided custom dashboards that let them track their account’s performance, place orders for customers, and access admin functions specific to their assigned customers without having access to another rep’s data. We also built in a unique set of controls from which end customers log in and pay off outstanding invoices with PayPal or credit card. A modernized B2B site that streamlined operational processes and enabled salespeople.